Epiphone EL-00 Review – The Best Guitar Ever By Epiphone? 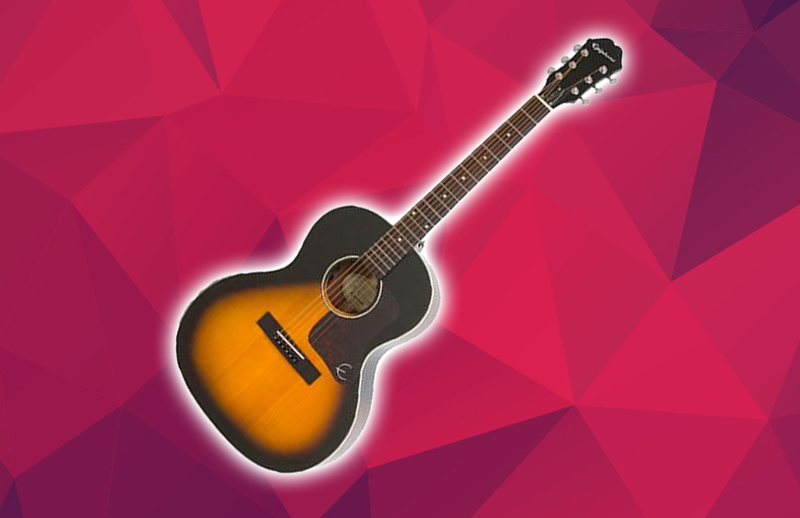 The Epiphone EL-00 is an electric-acoustic guitar that earned the number 1 spot on our top Epiphone acoustic guitars list, and we will show you exactly why in a second. First of all, i want to say that this is a very good looking guitar. If you go and play gigs with this guitar, you will probably get a lot of compliments for it, because it’s hard to miss its elegance. 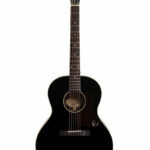 It has a great tobacco burst finish on its solid spruce top which differs a lot from other standard acoustic guitars. It has a select mahogany body and a neck, and they combined that with a rosewood pin bridge and fingerboard. This guitar might look small when compared to some other guitars in this category, but looks don’t mean anything. This guitar is capable of producing very loud and strong sounds. The bass is average on this guitar. I personally don’t like guitars that have too much bass, because it ruins the clarity of the sound. The Epiphone EL-00 has a D-shaped neck profile, which makes it very comfortable and easy to play. Playability is one of the most important things to look for in a guitar. If a guitar looks great on paper and has amazing specs but lacks on playability, then that guitar won’t last you long, and you will want to get rid of it as soon as you can. This isn’t the case with the EL-00, because the D-shaped neck profile is much more comfortable to hold when compared to V-Shapes or C-Shapes. 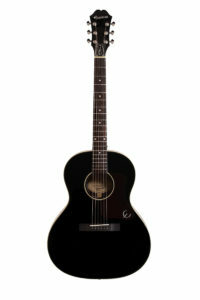 The Epiphone EL-00 would be a great guitar to play some western genres with. The sound it outputs is suitable for Blues & Country music. Don’t get me wrong, that doesn’t mean its limited only to those genres – but those are the ones that it performs the best on. When you compare the sound to some of the Martin or Gibson acoustic guitars, you will notice that the EL-00 sounds like a power drill next to them. That’s understandable because most of the guitars in this price category are similar. Overall, I would say that the Epiphone EL-00 is an amazing electric-acoustic guitar which can be appreciated by beginners, intermediates and advanced players. It has top-notch build materials, great playability and great comfort. Because of its shape, its suitable for all kinds of players, even those with smaller hands. If you have children, you can buy two of these guitars and teach both yourself and your children to play it at the same time.